This is a thirty-one day study geared to strengthening spiritual discipline. The first week provides clear, biblical strategies to conquer temptation and the addictive behaviors that anyone of us could fall prey to. 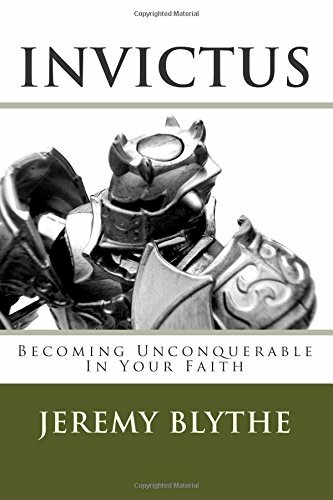 The remainder of the book focuses on how to become unconquerable in the face of temptation and consists of a verse by verse study of I John, the theme of which is understanding what an unconquerable faith looks like. This book is an excellent tool for anyone seeking to overcome a particular sin or addiction they are battling. In addition to a Master's degree in Divinity, Jeremy Blythe has been teaching the Bible for more than fifteen years. He currently serves as a Chaplain in the United States Navy Chaplain Corps and has the privilege of supporting Marines, sailors and soldiers both at home and on the battlefield. Drawing from his experience of ministering to warriors in the context of war, he draws striking parallels between the battlefield abroad and the battlefield that exists in our own mind as we battle temptation daily.